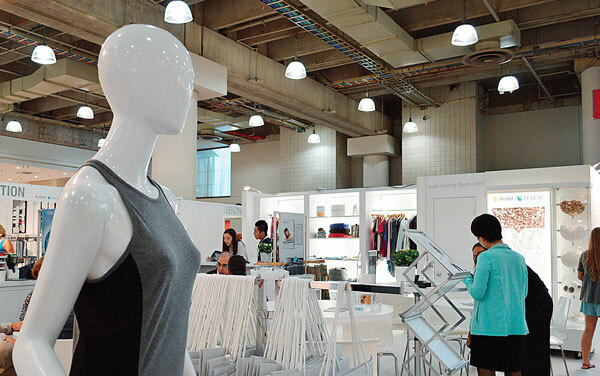 Texworld USA, Apparelsourcing USA and Home Textiles Sourcing Expo offer buyers the chance to connect with top manufacturers. July 12-14, 2016, Texworld USA will convene at the Javits Convention Center in New York City for its 20th edition. This sourcing, seminars and networking event for apparel fabric buyers, research and product development specialists, designers, merchandisers and overseas sourcing professionals is produced by Atlanta-based Messe Frankfurt Inc. in partnership with Austria-based Lenzing AG. 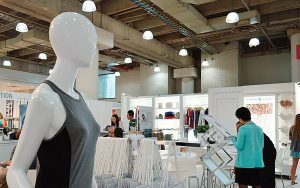 The biannual U.S. show is modeled after Texworld held in Paris, and is collocated in July with Apparelsourcing USA and the Home Textiles Sourcing Expo. Texworld exhibitors are from Asia, the Middle East, North America and many other regions around the world; and display a variety of apparel fabrics, trims and accessories for womenswear, menswear, juniors and childrenswear. More than 600 international exhibitors from 17 countries will participate in the show, which will feature three new country pavilions from Korea, Taiwan and Turkey. The July 2016 edition of Texworld USA marks the 10th anniversary of the show and 10 years since Texworld USA partnered with Lenzing Innovation to produce the show. The Lenzing Innovation Pavilion, featuring exhibitors focused on integrating sustainable fibers into a wide range of product categories, again will be prominently featured on the Texworld USA show floor. In addition to Texworld USA’s complimentary educational seminars, attendees in July also have the chance to participate in three new industry boot camps organized by Lenzing Innovation. The in-depth, educational courses will focus on sustainability, marketing and social media, and the basics of starting a fashion line. The North American Digital Textile Conference also will take place alongside Texworld USA. This full-day event will feature expert panels and seminars focused on product development, sourcing and supply chain advantages of the digital process, and the key differences between digital and analog printing that buyers need to be aware of in specifying and sourcing. Texworld USA will colocate with Apparelsourcing USA and the Home Textiles Sourcing Expo, which together create one of the largest sourcing destinations in the United States, according to Messe Frankfurt. Apparelsourcing USA expects more than 250 international exhibitors focused on finished apparel, contract manufacturing and private label development sourcing. The brand new Trend Café will highlight apparel trends and exhibitors’ manufacturing capabilities. The show also will feature new country pavilions from Colombia and Pakistan. “With Summer 2016 being the 10th anniversary of Texworld USA, we’re working diligently to make this the best edition yet,” said Bacon. The shows are open Tuesday and Wednesday from 10 a.m. until 6 p.m., and on Thursday from 10 a.m. until 4 p.m.
For more information about Texworld USA, ApparelSourcing and the Home Textiles Sourcing Expo, visit texworldusa.com, apparelsourcingshow.com and hometextilessourcingexpo.com.